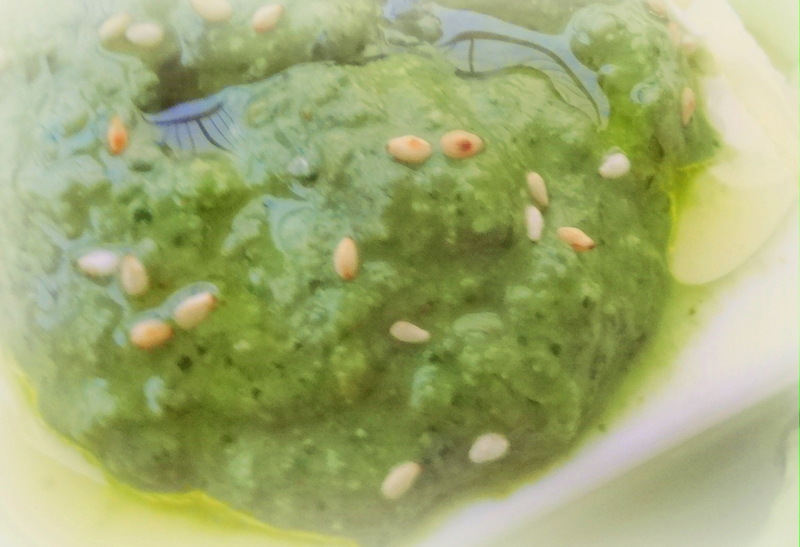 Sesame pesto : blend lots of basil, a little garlic, toasted sesame seeds, sea salt, olive oil. 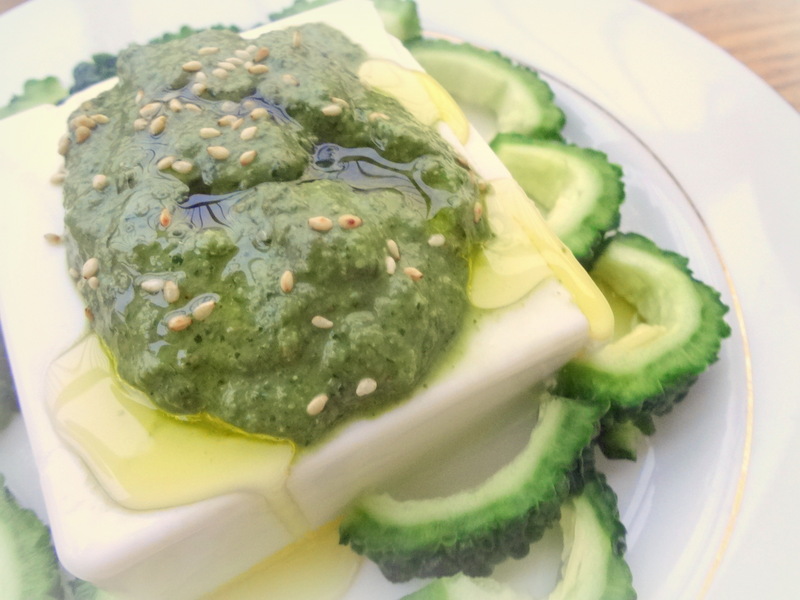 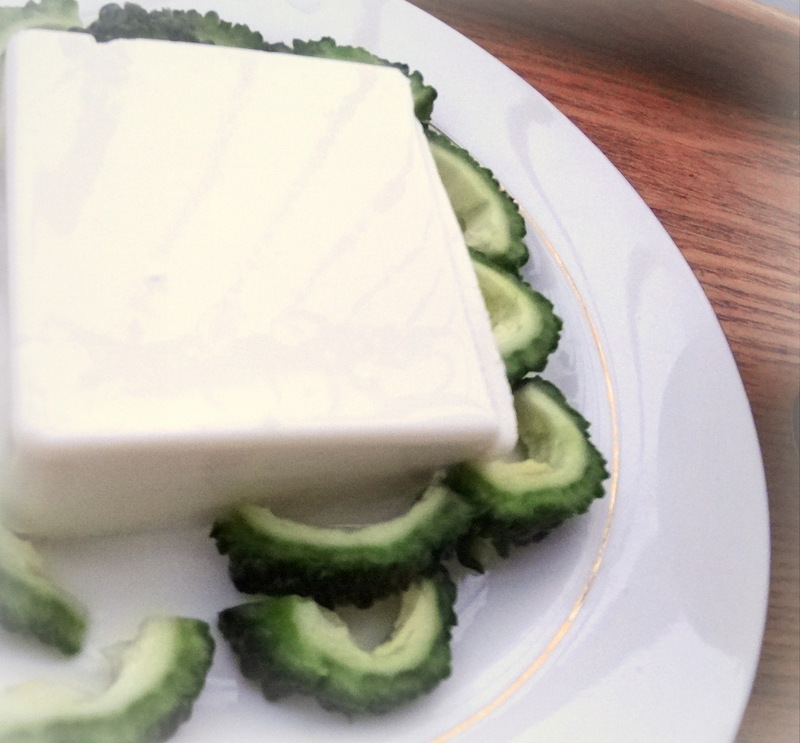 Serve the pesto on chilled silky tofu, with goya bitter squash. 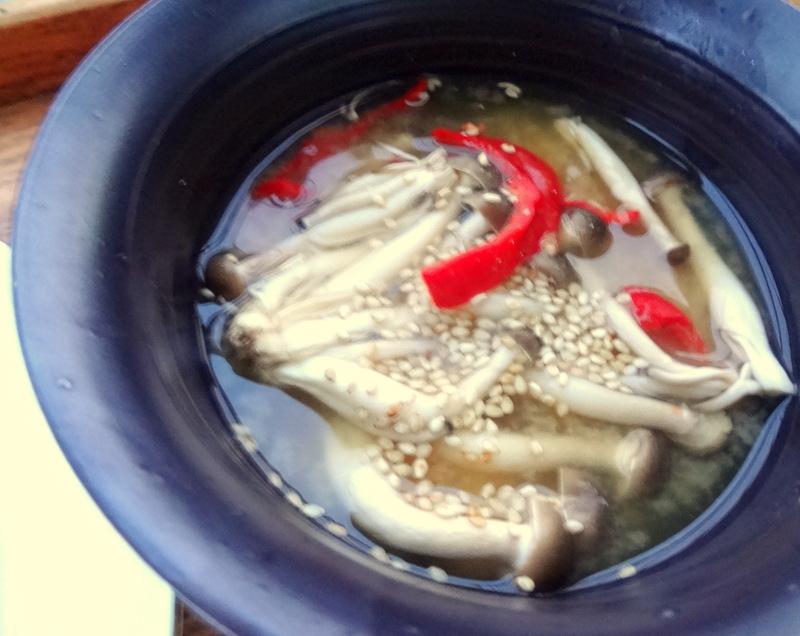 Side : boil shimeji mushrooms, add red sweet pepper, then mix in miso.